So, I'm a bit behind on the heart motif. I did this nail art look back in February. Pretty close to Valentine's Day, actually. Imagine that. Anyway, Color4Nails sent me the new Crystalline Nail Veil for review. 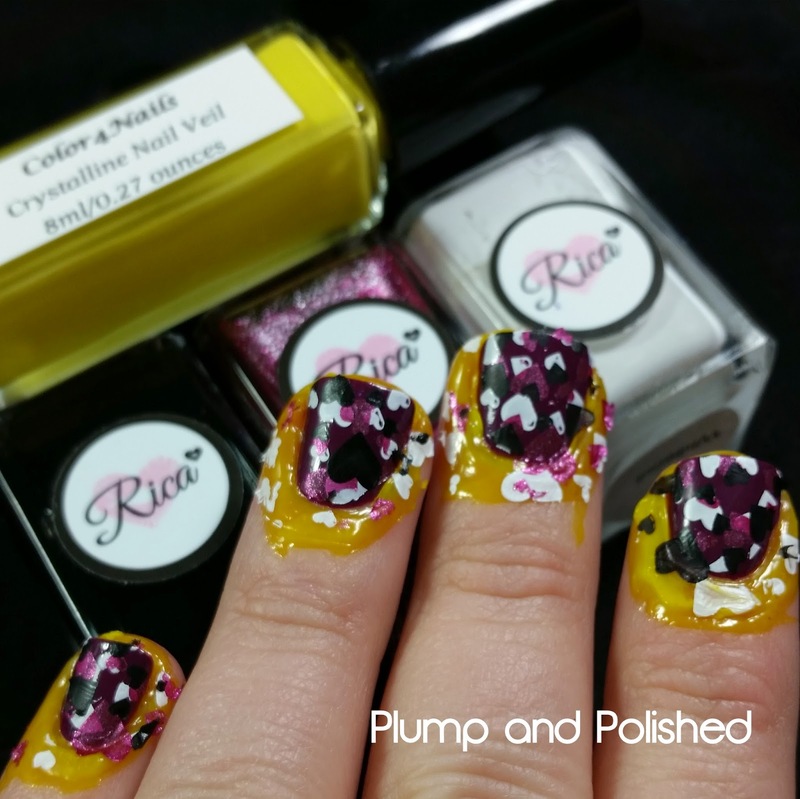 It's a liquid latex veil you paint on before your nail art to save you the hassle of tons of cleanup. For all the details on this look, keep reading. 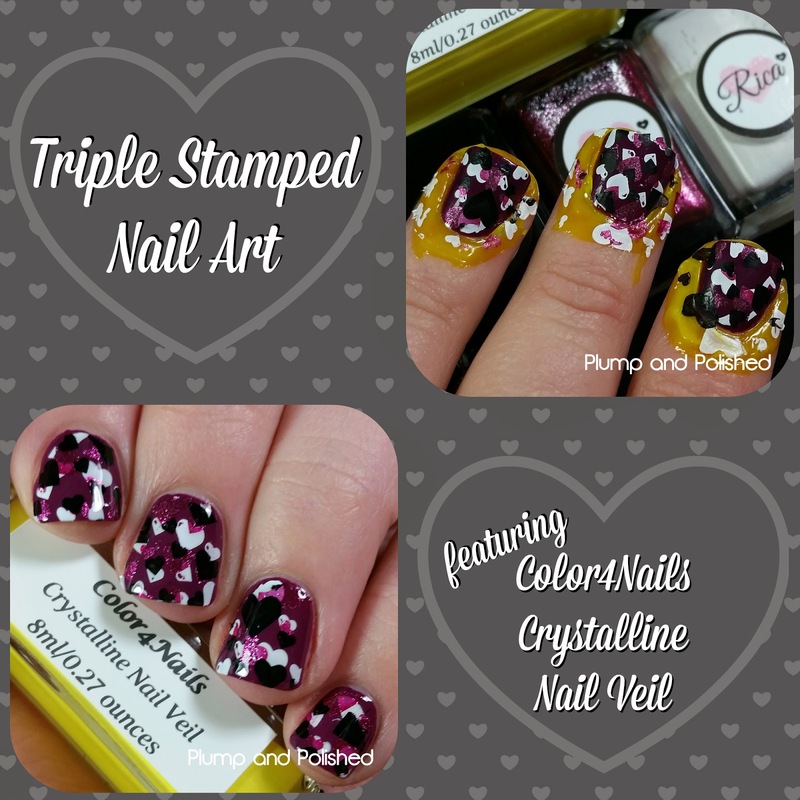 Nail Veil is super easy to use. I painted my base of OPI Anti-Bleak, allowed it dry, and then applied the Nail Veil all around my cuticle area and under my free edge just to be safe. 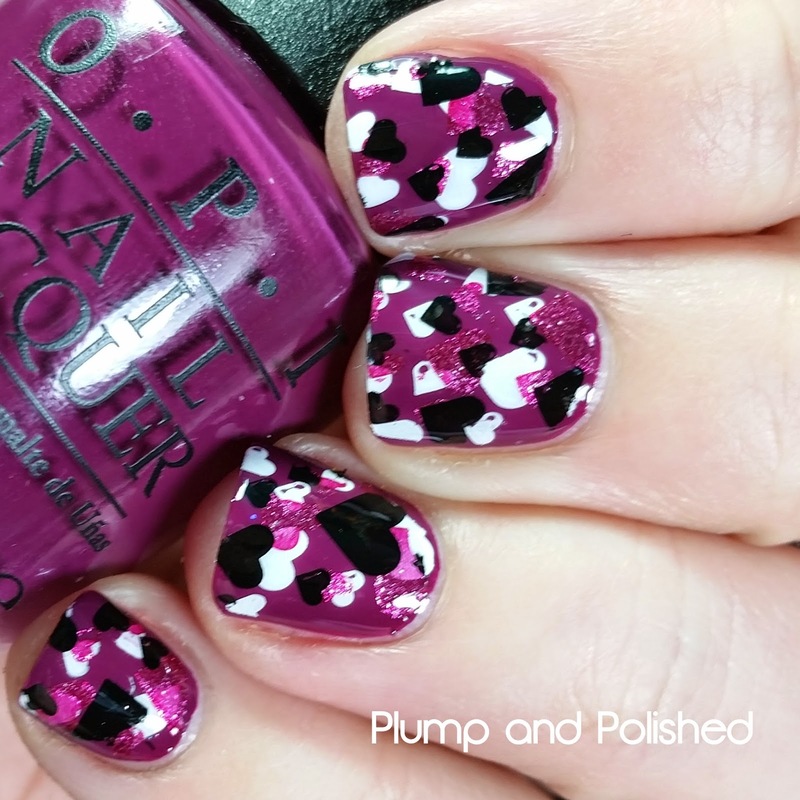 After the Nail Veil dried, I used Rice Whiteout, Hello Gorgeous, and Blackout to stamp an all over heart print from a MoYou plate. (I can't remember the name of the plate and I'm currently blogging from bed. If you really want to know which plate it is, bug me on Facebook until I answer.) I just layered each color over the other. After removing the Nail Veil with small tweezers, I applied top coat. My go to is Rica Glossy Glam. As you can see, the stamping didn't smudge! If you couldn't tell, I love berry tones. Anti-Bleak is one of my favorite cremes and I keep going back to it time after time. Black and white hearts seemed too plain. Hello Gorgeous really tied it together nicely. What do you think of this look? With the ease of clean up thanks to Nail Veil, I think I should start doing more nail art. 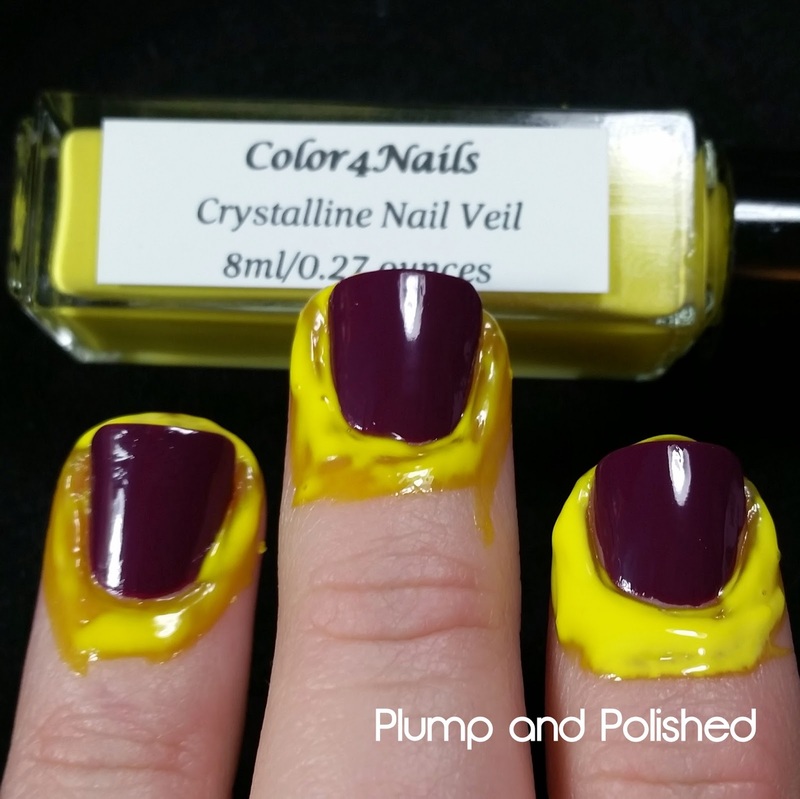 Color4Nails Crystalline Nail Veil is currently available. Each bottle is $6.00 USD plus shipping. Don't forget Color4Nails ships worldwide! Hi Ashley, this looks like a great product. =) Especially for those of us out there (ahem... me!) 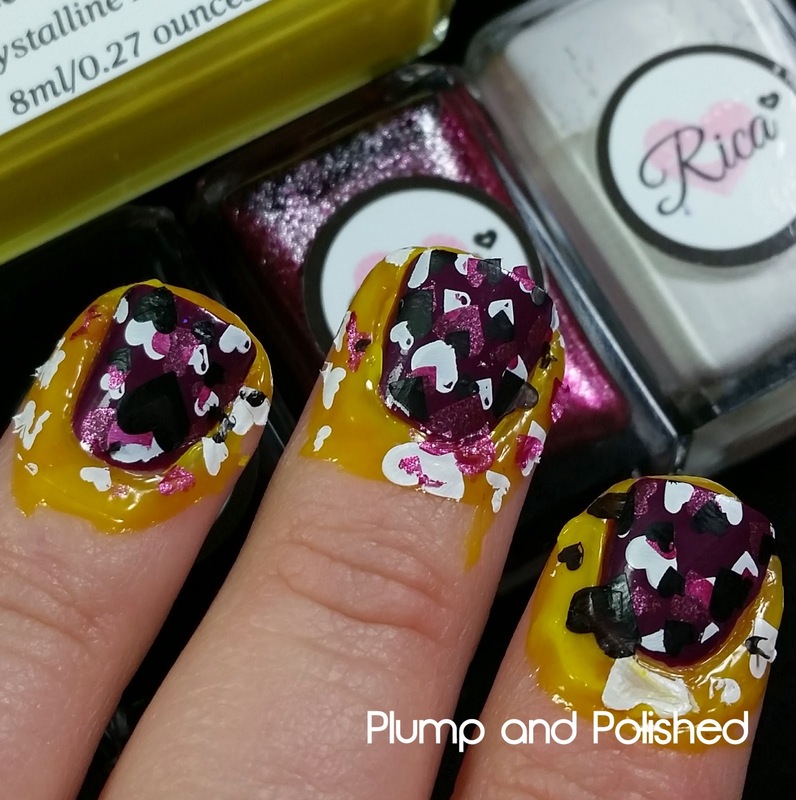 who are messy when doing nail art! Thanks for the review. 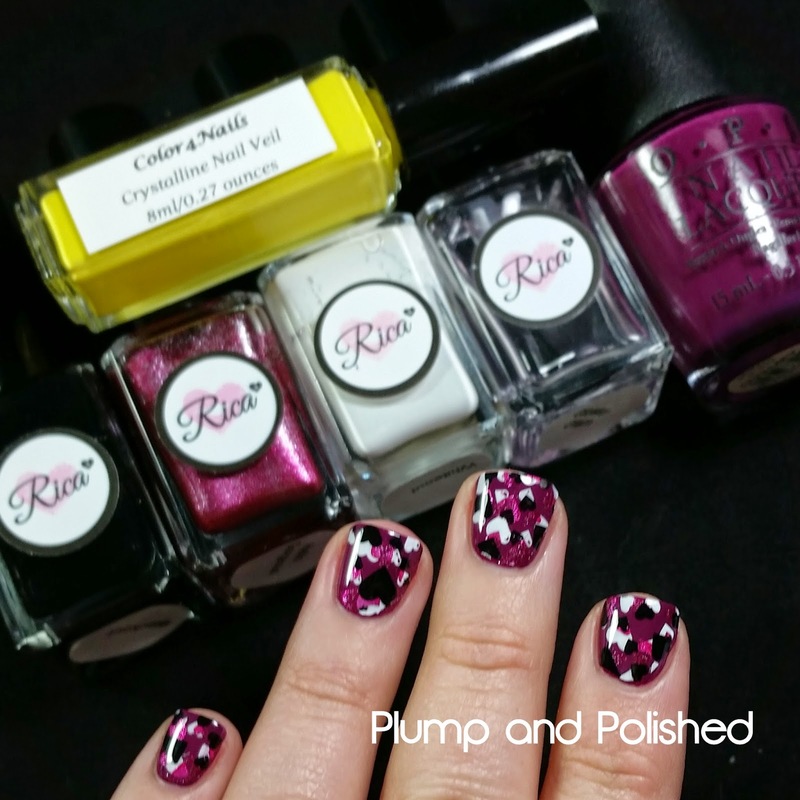 your mani is so cute and it look like this stuff works really great!